Heads of innovation, communication and digital strategy in pharma reflected at Frontiers Health 2018 on the implications of technological changes. Digital technology has had, and continues to have, an enormous effect on the pharmaceutical industry, as processes and practices within marketing, communications, research and market access are reworked for our digital age. 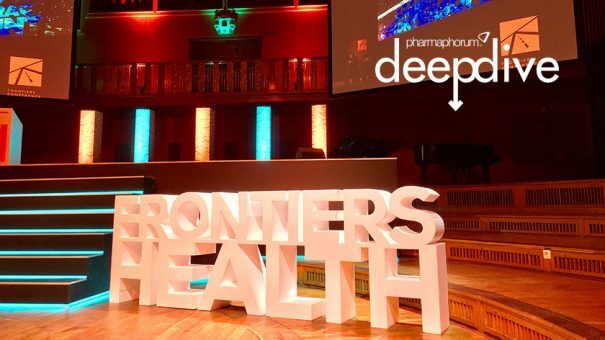 To explore how digital is impacting – and disrupting – pharma, from the perspective of both the digital customer/consumer and the digitalisation of the product, pharmaphorum’s CEO Dr Paul Tunnah was invited to run a live (and now on-demand) video roundtable at the recent Frontiers Health digital health conference in Berlin. Joining him in Germany was an expert panel of heads of innovation, communication and digital strategy consisting of Oliver Stohlmann from Johnson & Johnson, Pfizer’s John Gordon, Sammeli Liikkanen from Orion Corporation and AstraZeneca’s Roeland van der Heiden.